Gas production • New study says up to 12 percent of basin's methane escapes. 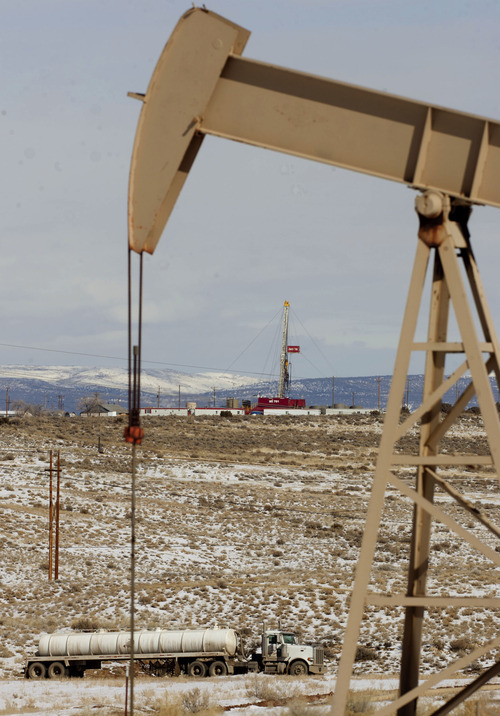 Steve Griffin | Tribune file photo A new report says much more methane gas leaks from the Uinta Basin's oil and gas operations than previously believed. Steve Griffin | Tribune file photo The air quality testing station is located near the Green River in Ouray. A new report says much more methane gas leaks from the basin's oil and gas operations than previously believed. Trent Nelson | Tribune file photo Signs point to extraction operations in the oil fields of the Uinta Basin southeast of Vernal in 2012. 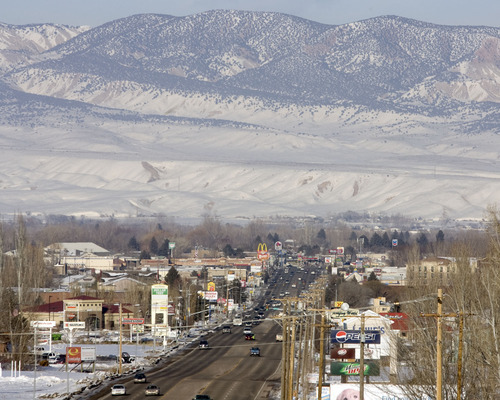 A new report says much more methane gas leaks from the basin's oil and gas operations than previously believed. Trent Nelson | Tribune file photo Equipment in the oil fields of the Uinta Basin southeast of Vernal in 2012. A new report says much more methane gas leaks from the basin's oil and gas operations than previously believed. 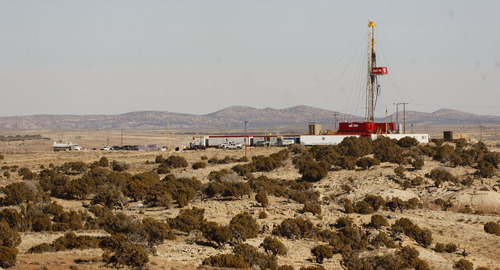 Trent Nelson | Tribune file photo Equipment in the oil fields of the Uinta Basin shown in 2012. A new report says much more methane gas leaks from the basin's oil and gas operations than previously believed. Trent Nelson | Tribune file photo Equipment in the oil fields of the Uinta Basin in 2012 southeast of Vernal. A new report says much more methane gas leaks from the basin's oil and gas operations than previously believed. 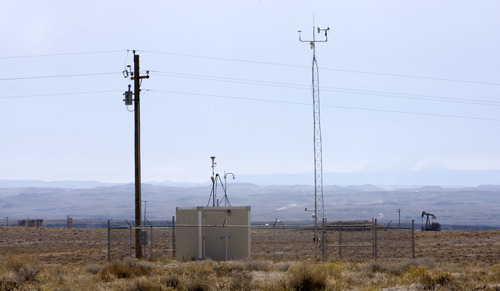 Between 6 percent and 12 percent of the Uinta Basin&apos;s natural gas production could be escaping into the atmosphere, far more than commonly estimated, according to a new study led by the National Oceanic and Atmospheric Administration. 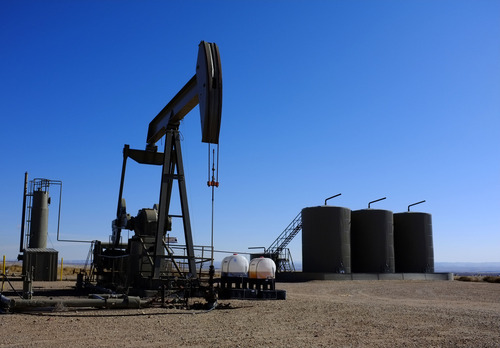 These troubling findings emerged during experiments conducted in February 2012 to validate a new method for calculating how much methane is released from oil and gas fields. "The point of the paper was to show that we have a robust method for verifying emissions," said co-author Colm Sweeney, an atmospheric scientist at the University of Colorado. "The method we&apos;re going after is what is the actual impact to the atmosphere, rather than guesses based on discrete measurements from a few wells." Accepted for publication in the journal Geophysical Research Letters, the study was conducted by the Cooperative Institute for Research in Environmental Sciences, or CIRES, which Colorado runs jointly with NOAA in Boulder. The NOAA team piggybacked its work on a study funded in part by Utah examining ozone formation in the basin two winters ago. The team flew over the basin at about 1,000 feet gathering air samples and readings over several weeks. "We used a mass balance technique, which means we follow an air mass as it moves into the region and then flows out," Sweeney said. "We look at the difference in methane between those two to determine an actual emissions rate for the region." The study based its findings on measurements recorded during a four-hour window Feb. 3, a calm, cloudless day that was perfect for measuring methane concentrations. There was almost no snow on the ground so the boundary layer over the basin was unusually high for winter, which allowed gas field emissions to mix evenly with the air, Sweeney said. The basin&apos;s oil and gas infrastructure serves 6,000 wells that account for 1 percent of the nation&apos;s natural gas production. The team found it leaked 60 tons of natural gas an hour during the Feb. 3 window. "Most days we measured concentrations far greater than what we reported in the paper," Sweeney said. The new study was not designed to determine points of leakage. There are plenty of potential leak sources, such as wells, processing plants, compressors and pipelines. The federal Environmental Protection Agency has estimated that, on average nationally, just 0.8 percent to 1.6 percent of natural gas production escapes. Federal officials encourage use of natural gas because burning it emits less carbon dioxide  the leading greenhouse gas linked to climate change  than oil or coal. Methane, the main component of natural gas, packs a greenhouse punch 25 times greater than carbon dioxide. That means leakage rates exceeding 3.2 percent offset natural gas&apos; advantage in the short term, Sweeney said. Methane molecules, a carbon atom joined to four hydrogen atoms, oxidize in a matter of years into carbon dioxide, so its atmospheric impact is hardly permanent. Industry officials noted that the nation&apos;s carbon emissions are near a 20-year low due in part to increased use of natural gas, largely driven by hydraulic fracturing, or fracking. Oil and gas operators have strong financial incentives to capture methane, since losing it shrinks their revenue stream, according to the American Petroleum Institute, whose officials have yet to review the new NOAA report. "The industry has led efforts to reduce emissions of methane by developing new technologies and equipment, and these efforts are paying off," spokesman Brian Straessle said in an email. "The oil and natural gas industry invests far more money into emission-reducing technologies than the federal government and nearly as much as the rest of the private sector combined.